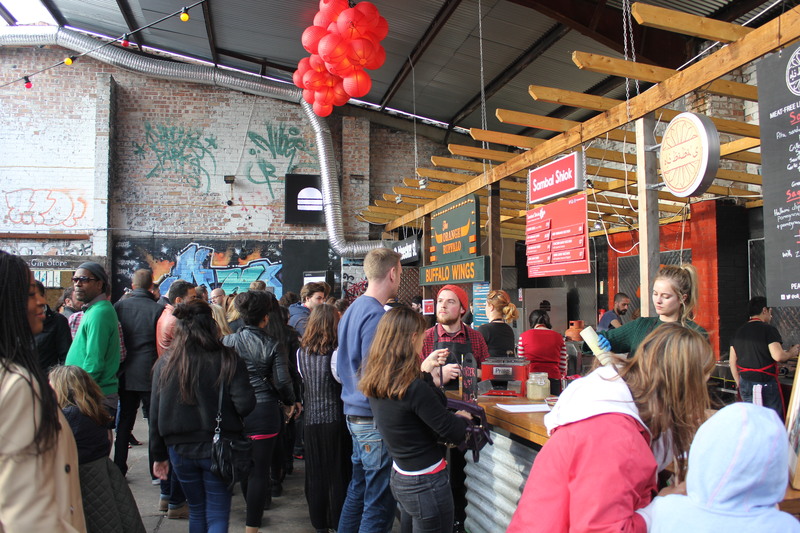 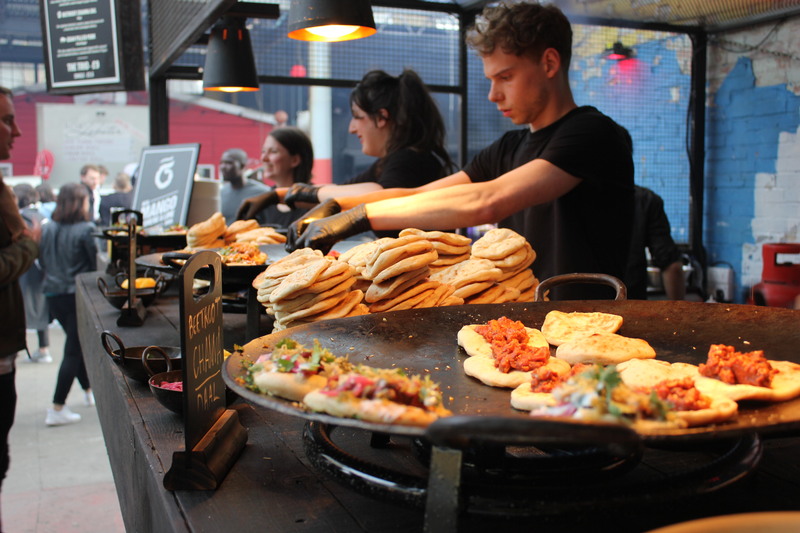 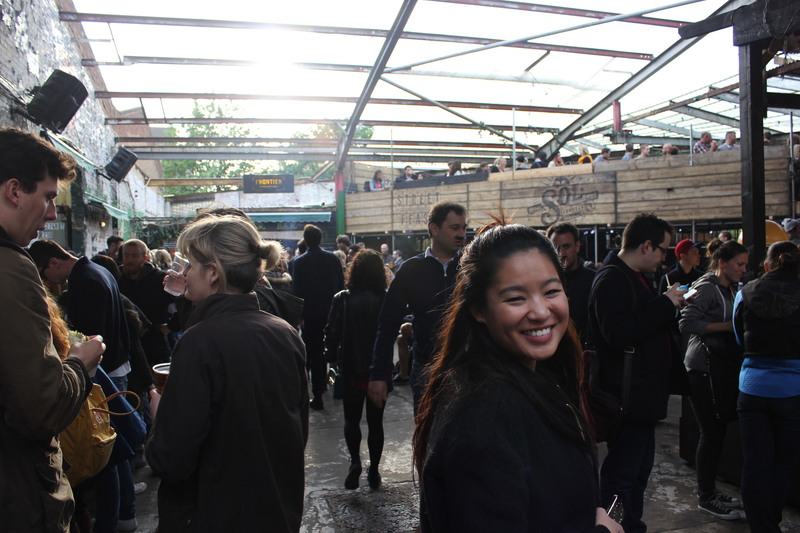 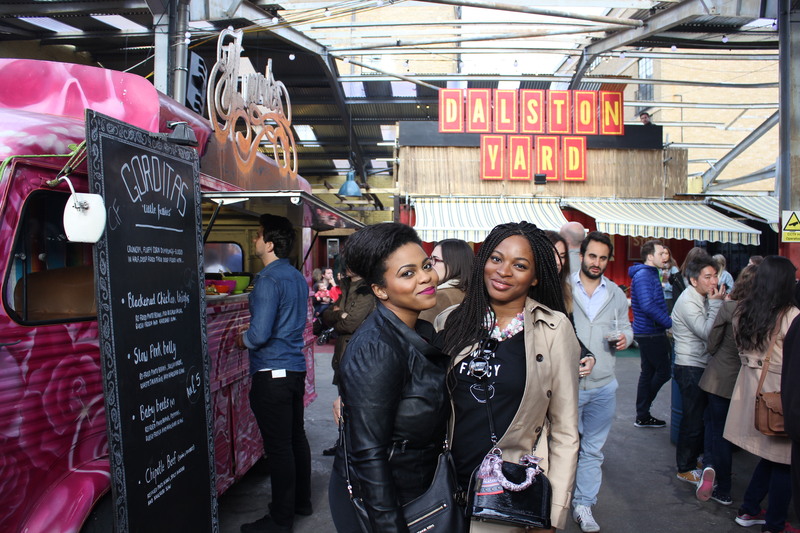 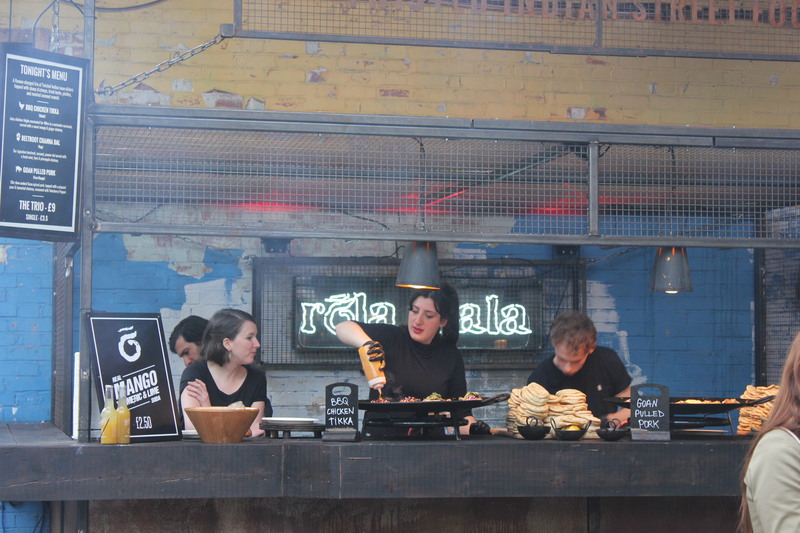 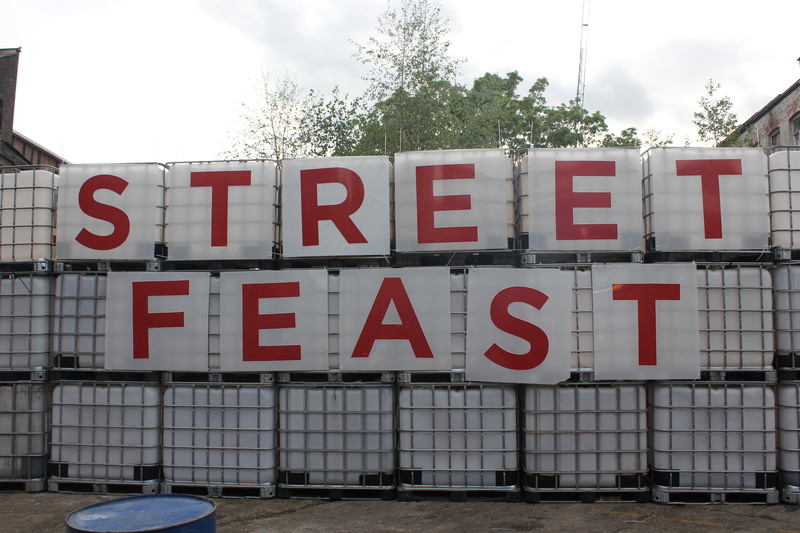 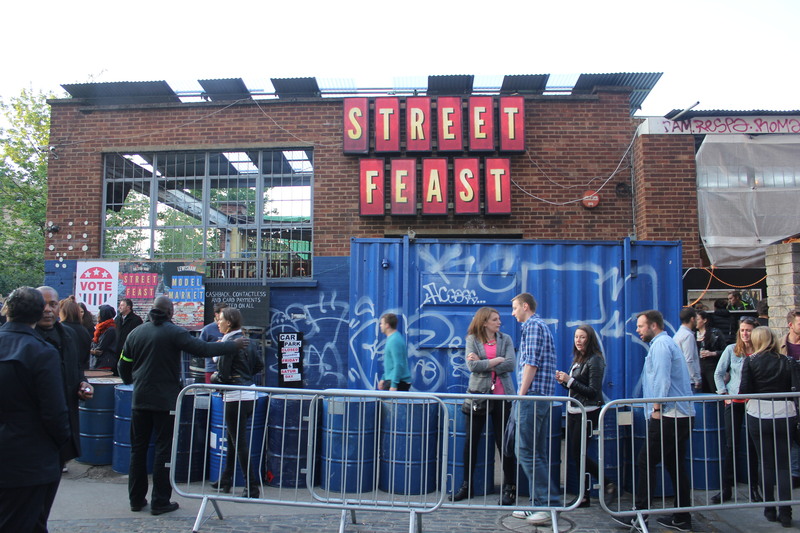 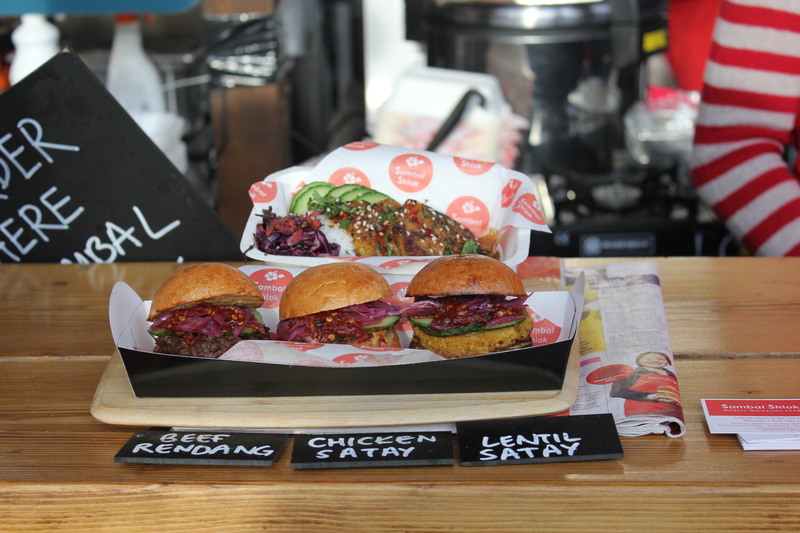 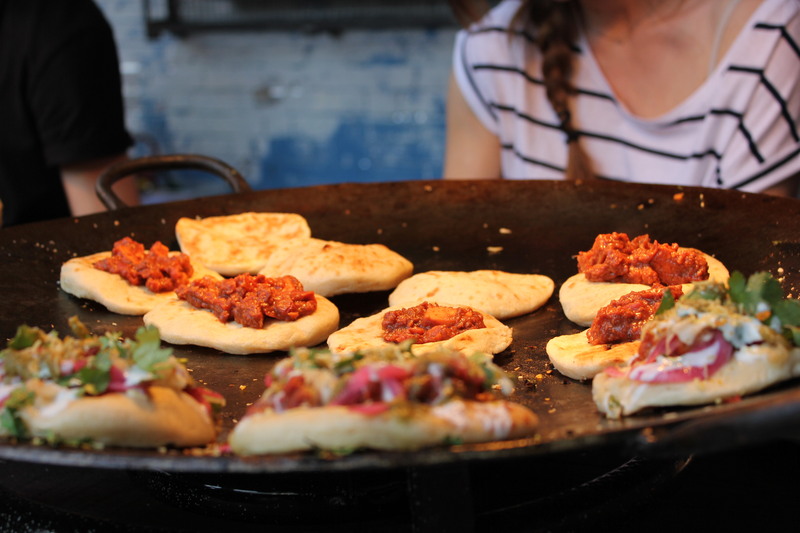 Yesterday my friends and I headed over to Street Feast in East London for a round of oohs and ahhs at this year’s selection of quirky street food vendors. 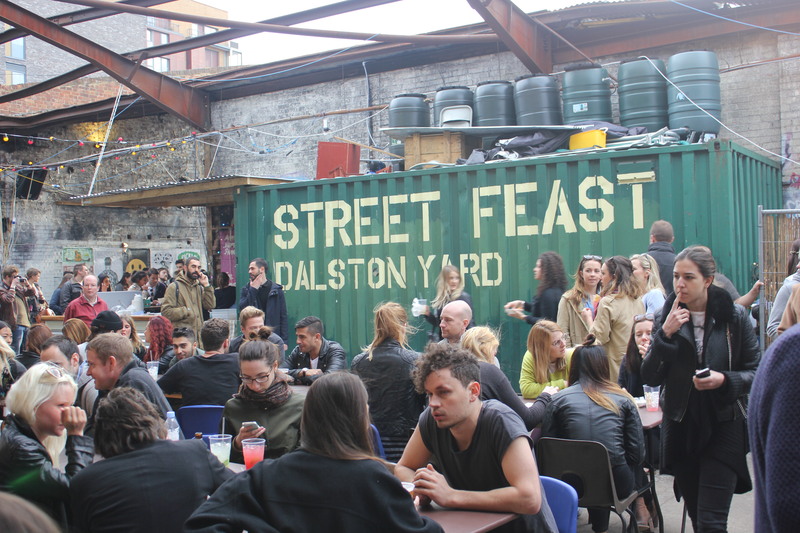 Everything from Mini-Naan sliders and pizza-burgers to hot wings and grilled mac-n-cheese sandwiches were on the menu at the Dalston Yard location, which will be open all summer long. 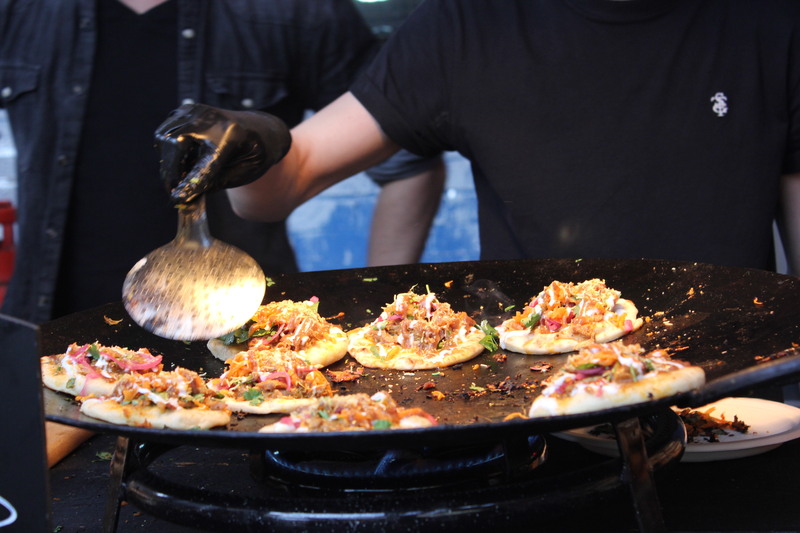 This was my first time at Street Feast, and as usual, I traversed the market the only way I know how – pointing my big lens awkwardly in the faces and happenings of food vendors and the crowd that came out to try them. 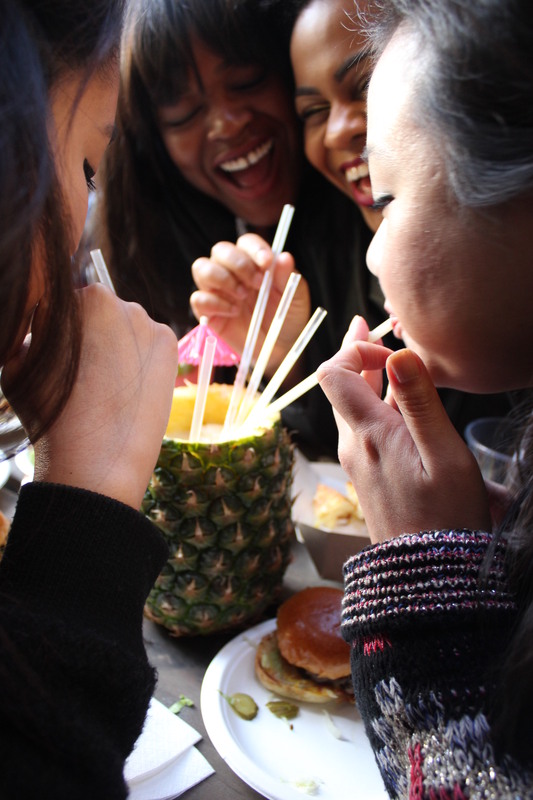 (Definitely feels less awkward and more “yaaayyy” following one of their giant cocktails). 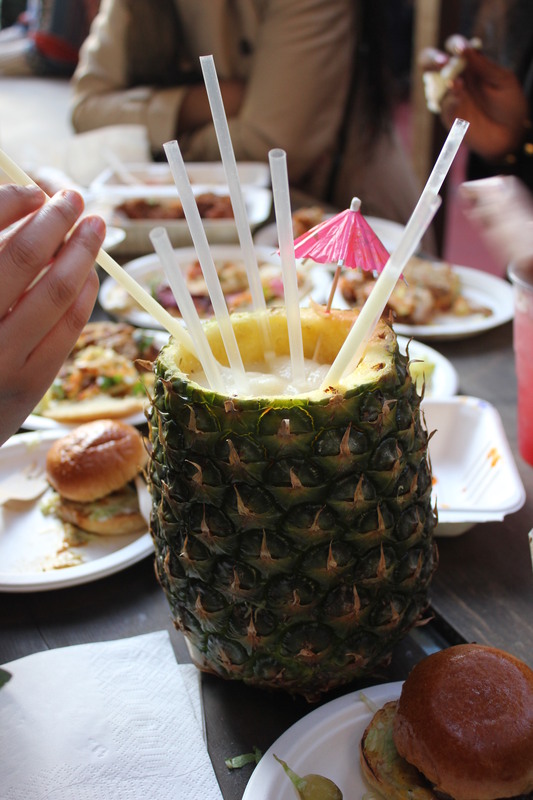 My friends and I split up to gather a selection from different vendors. 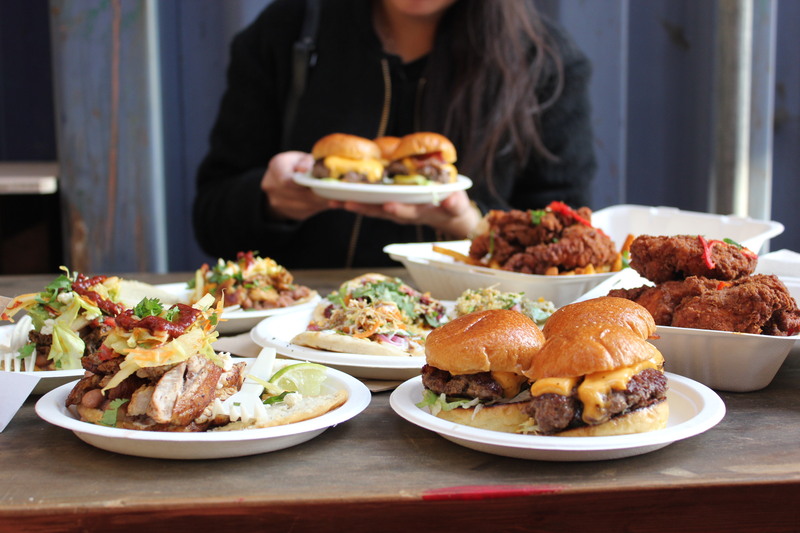 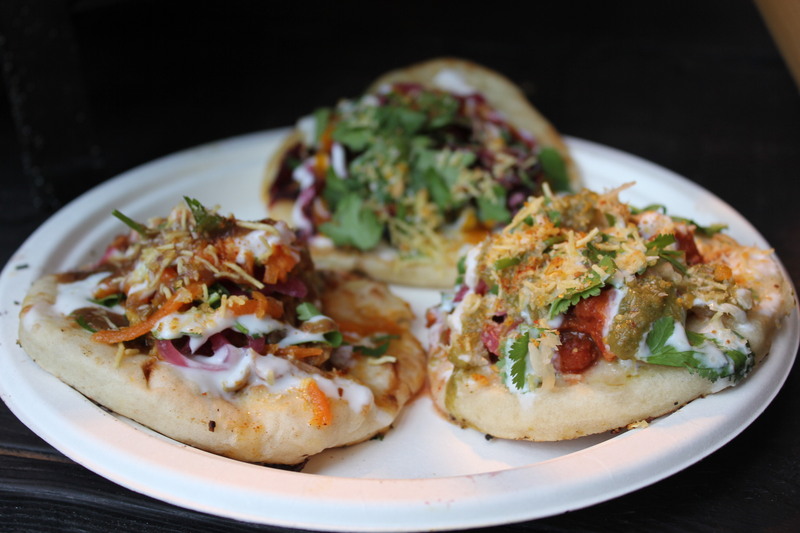 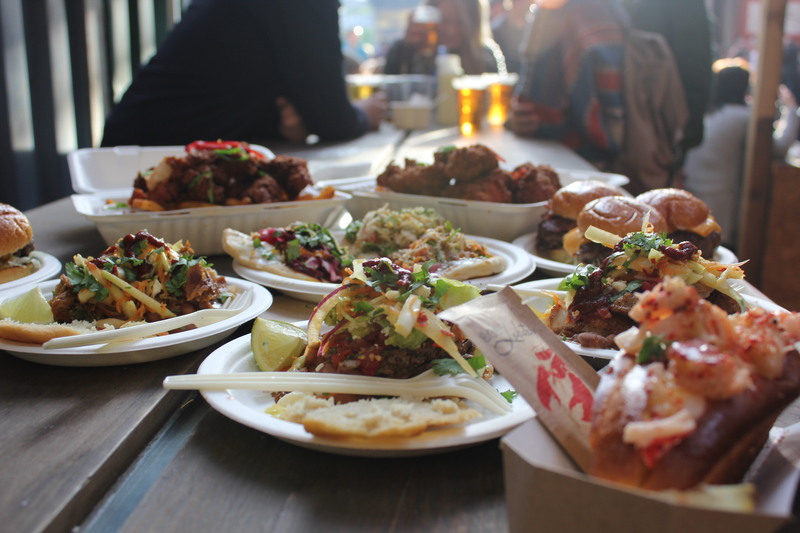 I went for the Naan sliders, as my photos’ll tell, and we all feasted on the lot family style – because sharing is caring, LiXian.